As a course requirement of business communication practices in Bangladesh, this report is designed to overcome the gap between academic knowledge and the practical to some extend. it is really a great opportunity to have on real life experience while passing through the process of theoretical learning. In this report at the first part we will introduce about the report background, in the second part we describe the company profile .third part presents the details of internal operations of the company. Fourth part of the report discusses the human resource management and about the effectiveness of the company’s Business Communication. Here we are going to analyses and observe the human resource management process of the department. That’s why we find out all reasonable hypotheses for analyzing the process, path and modes. At the last we gave findings and recommendation. In Bangladesh, Grameenphone is the leading provider of mobile telecommunication services. Having started its operations in 1997, Grameenphone now provides voice, data and other value added services on prepaid and contract bases. Grameenphone has been a pioneer in bringing innovative mobile-based solutions to Bangladesh. Notable among these is the Healthline, a 24 hour medical call centre manned by licensed physicians. Other innovations include Studyline, a call centre-based service providing education related information, Mobicash, for electronic purchase of train tickets, Billpay, for paying bills through mobile phones and over 500 community information centres across Bangladesh. These centres bring affordable Internet access and other information based services to people in rural areas. As at 31 March 2011, Grameenphone had 32.0 million subscriptions, while the mobile penetration and number of inhabitants in Bangladesh were 46% and 158 million, respectively. 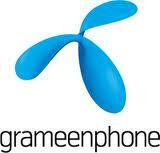 Grameenphone in Bangladesh started providing mobile telephony services in 1997 and is partly-owned by Telenor. In addition to core voice services, Grameenphone offers a number of value-added services on both a contract and prepaid basis. Grameenphone is the largest of in total six mobile operators in Bangladesh. The practice of CSR is subject to much debate and criticism. Proponents argue that there is a strong business case for CSR, in that corporations benefit in multiple ways by operating with a perspective broader and longer than their own immediate, short-term profits. Critics argue that CSR distracts from the fundamental economic role of businesses; others argue that it is nothing more than superficial window-dressing; still others argue that it is an attempt to pre-empt the role of governments as a watchdog over powerful multinational corporations. The definition of communication is shared in the Webster’s Dictionary as “sending, giving, or exchanging information and ideas,” which is often expressed nonverbally and verbally. Non-verbal communication is the act of speaking without using words. Examples of this include facial gestures (smiling, frowning), body language (arms crossed, giving someone the “finger”, legs shaking resembling nervousness, sitting upright giving someone their full attention), and the impression you give to others with your appearance (dress, body image, body odor). Also, the tone of your voice can be expressed non-verbally. For instance, if you are saying one thing, but your tone of voice is saying another, then that reflects how you are truly feeling without speaking a word about it (yelling and crying while saying your okay). Verbal communication is the act of speaking by using words. Examples of this include using different forms of language (i.e., written, voice, sign language). This form of communication can be taken for granted..such as saying regretful things and opening your mouth before thinking about what you are saying. Both non-verbal and verbal communication are both used on a daily basis. In that regard, it’s important to use communication carefully and with love. Communication can either hurt or heal. Check out this communication poll to see how you and others are communicating. The Investor relations problems is used by Grameenphone which publicly trade shares on a stock exchange. In such companies, the purpose of the IR specialist is to interface with current and potential financial stakeholders-namely retail investors, institutional investors,and financial analysts. Public relations problems specialist, in many ways, is to communicate with the general public in ways that serve the interests of the Grameenphone. PR therefore consists of numerous specialty areas that convey information about the company to the public, including sponsorships, events, issues management and media relations problems. As the volume of communications grows, Grameen phone create an employee relations function with dedicated staff to manage the numerous media through which senior managers cannot communicate among themselves and with the rest of the Bangladesh Grameenphone. The 21st century is not more than the memos, publications, and broadcasts that comprise it; it is not about building a corporate culture on values that drive organizational excellence. External communications are also important for the Grameenphone. , it may need to convey issues to receivers and stakeholders in many different areas. These issues could not include legal matters, pensions and discussions, as well as disputes. Grameenphone website is a vital link with the outside world. Do not support issues such as collective bargaining, booklets and other information. These can not be ordered from a communication catalogue or by downloading a pdf from the website. For example, Welcome to Grameenphone is not a full guide for members, covering topics from health and safety to building skills. DVDs haven’t also become a popular way of making contact with members. the message issued by Grameenphone, body, or institute to its publics. “Publics” can be both internal (employees, stakeholders, i.e. share and stock holders) and external (agencies, channel partners, media, government, industry bodies and institutes, educational and general public). Categorization has been done keeping in mind the major concerns of women. Each category is further divided into subcategories covering a vast range to provide customized service to the user. – Registered subscribers will receive effective and necessary daily one lifestyle related tips. – No activation/subscription charge applicable. – One can activate the service through sending the activation keyword. – After successful registration, subscriber will receive one instant tips. – Daily charge will be applicable from the day of activation. – Subscriber will get daily text until deactivation. – Subscriber can deactivate the service through sending deactivation keyword at any time. Grameen Phone do not service in this way. Interview your employees to get input on problems in your organization. Listen to each person’s version of what goes on in your company. Act as a neutral mediator to elicit facts so you can determine the fundamental problem. Maintain confidentiality by conducting an anonymous online survey, particularly if you have a large group of people involved in the crisis. Analyze the communication patterns in your organization. Effective communication occurs when one person conveys a message and the receiver understand the message. Misunderstandings can occur during each part of the communication process. For example, providing incomplete information can lead to confusion. Not paying full attention can prevent complete understanding. Choosing the wrong format for business communication can lead to problems as well. For example, providing a long list of procedural commands over the telephone or left on a voicemail message may not produce the desired results. Identify the root cause of frequently occurring problems and implement programs to improve the situation. For example, if employees complain they lack knowledge of your company’s strategic goals and objectives, examine the frequency of company communication. Identify ways to improve the dialog between managers and employees. For example, create and distribute a monthly newsletter highlighting the company’s success at meeting strategic objectives. Run quarterly meetings at which employees can ask company executives questions about the company and the overall industry outlook. Recognize the effect cultural differences can have on communication in your organization. Provide diversity training sessions so that employees can gain an appreciation of other countries and customs. Include activities that help your employees practice active listening, open-ended questioning and paraphrasing techniques. Role-playing exercises help employees develop good communication skills that alleviate or mitigate conflict due to cultural misunderstandings. Implement long-term plans to address communication problems, particularly if maintaining a healthy and safe work environment is involved. For example, if email communication, website notifications and written letters fail to address safety concerns such as employees washing their hands before returning to work, create a promotional campaign including posters and leaflets to get the message across in a more suitable way to reach the intended audience. Grameenphone Launched Solutions Campaign for Business Market. The ever-changing global economic, technological and socio-political environment is transforming business in Bangladesh towards a paradigm shift; this is inviting the corporate bodies towards technology in order to manage businesses even more efficiently. To cater to the technological need, besides the general business tools, Grameenphone has launched a campaign targeting the Business Enterprises of Bangladesh, styled ‘Solutions Campaign’. Under this campaign, Grameenphone will present its state-of-the-art solutions to the organizational buyers of different industries of the country through different media and offer customized solutions through its Direct Sales Channel. Grameenphone offers customized voice packages for the firms with special price plan for internal communication, Business Hour etc. The price plans have flexibility on payment mode also like prepaid and post-paid. An end-to-end secured data connectivity solution that will help the firms to connect their branches, ATM, POS machine. This state-of-the-art solution will also help the firms to create their own intranet and enable them to perform office work from any part of the world. This highly customizable reporting system enables a firm to get almost real-time reporting like sales report, inventory report etc. This solution is capable to plug-in to the central inventory/sales software like ERP etc. This solution will assist the firms to optimize their fleet by providing a tool for tracking and managing the vehicles like cars, microbus, motorbikes etc. This GPS based solution provides real-time tracking, utilizing a common vehicle for a specific route, create rules for drivers etc. The hardware comes with a unique 3-year warranty. This specialized solution from Grameenphone will allow the field-force administrators (like sales mangers) to have ultimate control over the field-force and to assign and manage task of each employee. The unique solution will assist the firms to have mobile office on their handheld devices. The Grameenphone Blackberry service provides Internet and Enterprise version of BlackBerry service that delivers real-time secure push mail to the handset with the facility of viewing and editing attachments. It also reduces communication cost through the free BlackBerry Messenger service. Business SMS is a unique tool to communicate the same message to a group of people like employees or customer base. It allows the sender to send the same message to 10,000 people at-a-go. This interesting mobile advertising tool will assist firms to play advertisement/theme song in the mobile phones of employees as welcome tune. Besides ATL and BTL activities, employee engagement programs like SMS Contest, Referral sales program etc will also take place with attractive prizes during the three-month long campaign. Xplore is a postpaid connection and is available with Mobile to Mobile with BTCL connectivity. BTCL incoming is absolutely free in Xplore. Grameenphone prepaid connection comes with this pre-activated package where you will be able to talk to any operator number at a low, flat rate of Tk 0.79. This package with the highest number of F&Fs allows you to talk to your near and dear ones at the lowest rate. You can talk to over 31 million Grameenphone numbers at a very low rate of 49 Paisa per minute. “Baadhon” is a special package which is very suitable for the rural population of Bangladesh. The Grameenphone Smile prepaid connection now gives you more freedom, more opportunities and more reasons to smile!! New djuice price plan from Grameenphone Ltd. is designed with the Youth in mind! Grameenphone builds for the future. Benefiting from progressive socio-economic development projects such as the village phone program and Grameen Bank, Bangladesh’ s economy has surged forward over the last decade. As an integral facet of national infrastructure, the telecom industry remains pivotal to the country’ s continued success. The 2006 Nobel Peace Prize brought international fame to its Bangladeshi recipient and creator of the Grameen Bank initiative, Dr. Muhammad Yunus. Developed to alleviate poverty for Bangladesh people and headed by the slogan “Banking for the Poor”, this innovative project introduced a system that replaced collateral with mutual trust and helped reinvigorate the global image of this underdeveloped country. In 2000, the domestic operator, Grameenphone, an affiliate of Grameen Bank through Grameen Telecom, won the GSMA in the Community award for its village phone service, which has since gained worldwide recognition and praise. Nestling between India and Pakistan in the Ganges-Brahmaputra delta, Bangladesh is characterized by its high population density and poverty-almost half of the country’ s people earn less than one dollar a day. Nevertheless, Bangladesh features the fastest growing mobile phone market in the world. With a mobile penetration rate of over 26%, a sizeable minority of Bangladeshi people enjoy convenient Internet access through their cell phones. With over 21 million mobile subscribers, Grameenphone is the largest telecom service provider in Bangladesh and a three-time winner of GSMA Global Mobile Awards. Combining business savvy and social conscience, Grameenphone has released new products and services in an almost unbroken stream, including the highly regarded village phone, Community Information Centers, CellBazaar and HealthLine services among others. Grameenphone is the culmination of a joint venture between Grameen Telecom, a non-profit enterprise affiliated to Grameen Bank, and Norway’ s flagship mobile operator, Telenor. With a strong presence in 13 countries, Telenor has emerged as one of the world’ s leading operators through its “northern model” business style and aggressive drive for early market development. Accompanied by tremendous growth in telecom traffic in 2007, Grameenphone saw its subscriber base top 18 million at the dawn of 2008. Traffic continued to soar and almost stretched its legacy networks to a breaking point. Propelled by the need to enhance services, Grameenphone set its sights on constructing an extensive, flexible, and upgradeable network to minimize new service deployment costs. This was the only way the company could realistically retain its leading position in a climate of fierce competition. TDM and IP technology were combined in Grameenphone’ s legacy core network. The two networks separate in the physical layer and communicate through Trunk Media Gateway (TMG). This structure created multiple problems in terms of repeated construction, the need for alternative routes, uneven traffic distribution, excessive core network elements (NEs), complex maintenance, low NE capacity, poor exchange ability, private interfaces, and poor network compatibility. Furthermore, the exploding traffic volume severely overloaded the wireless network and many urban base stations could not be expanded despite having reached capacity. Due to difficulties in acquiring sites, new site construction fell far behind requirements, which in turn degraded network quality. At the same time, other domestic mobile operators were expediting All-IP evolution to enhance competitiveness and reduce their CAPEX and OPEX. To combat the range of problems and reduce TCO, Grameenphone knew it had to construct a streamlined, high capacity core network with a simplified network structure. Such a network also needed an aggressive frequency reuse plan for dense urban areas and the backing of a complete all-IP solution. Telenor planned to enlist a new strategic partner as part of the push to retain Grameenphone’ s leading position in the Bangladeshi market. However, a recent crop of M&As had left many equipment vendors unable to achieve management synergy in the short-term, which complicated the selection process. Nevertheless, Grameenphone identified four major vendors as candidates to implement an All-IP solution. After a comprehensive seven-month selection process that examined the technical and business viability of the bidders, Telenor’ s engineers and board of directors ranked Huawei first based on its solid proposals, performance and products. In 2008, the two parties ratified the partnership agreement. The overall project remit centered on expanding network capacity and enhancing network performance. Specifically, Grameenphone’ s national GSM network needed optimizing by swapping and expanding its legacy core and wireless networks. Due to the complicated network structure, the scheme concurrently comprised aspects such as core network swapping, BSS swapping, and new IPBB deployment. Grameenphone embodied high performance and acceptance standards in stringent KPIs. These required an optimized network that offered wide coverage and an All-IP evolution capability. Moreover, the difficulty of the project was elevated by the tight schedule, a complex set up process, and extremely challenging logistics. Nevertheless, Huawei completed interoperability tests (IOTs) on over 10 interfaces and 30 legacy NEs in just 2 months. Mr. Tanveer, Head of Network Operation at Grameenphone, noted, “We’ re fully satisfied with Huawei’ s performance in the IOT project and its customer-oriented attitude.” The MSX, UMG, SIWF, IGWB, SG, M2000 and ngHLR were also successfully tested over these two months, fortifying the strong technical foundation for the entire project and justifying the faith Grameenphone expressed for Huawei’ s test and solution proposals and mobile softswitch products. Large-scale network deployment and cutover followed. Based on a comprehensive analysis of the legacy network by Huawei engineers, Huawei assisted Grameenphone to construct its bearer, core and wireless access networks. Following hardware installation, Huawei trained Grameenphone personnel and fully briefed the operator on each solution for each cutover to ensure stable results on a large-scale. This project was the first Grameenphone-Huawei cooperation, the result of which has been considerably enhanced network-wide KPIs. As parts of the large-scale swap in October 2008, Huawei and Grameenphone introduced a health, safety, and environmental management system for the project, which deepened the communication process and strengthened the mutual trust and understanding between the partners. During the two months of cooperation, Huawei assisted Grameenphone swap over 300 sites. The operator’ s preliminary acceptance test (PAT) testified to Huawei’ s top-quality solution and robust processes. GSM optimization has enabled Grameenphone to augment service delivery at competitive rates and revitalize the company’ s long-term development. Despite the global economic downturn, Grameenphone has maintained a strong growth momentum with 2009′ s financial report for Q1 and Q2 revealing respective growth rates of 7% and 10%. Thus, Grameenphone sits poised to enhance communication services in Bangladesh and help lift the country further out of poverty through a robust telecom network. Through this service, any GP post-paid subscriber is eligible to enjoy voice, sms service even while s/he is travelling abroad. Our unique “One Country, One Rate” roaming tariff now allows all valued postpaid roaming subscribers to enjoy same roaming tariff in specific countries – irrespective of different roaming partners’ different charges, tax etc. EDGE/ GPRS is an advanced mobile technology and enables you to use high speed mobile internet and data services. This service can be enjoyed by the post paid subscribers only. Through this service, any GP pre-paid subscriber is eligible to enjoy voice sms service even while s/he is travelling abroad. Grameenphone is the 1st operator in Bangladesh to launch GSM roaming with AeroMobile. AeroMobile AS provides roaming facility onboard aircrafts, providing global coverage. It is a safe, cost effective solution allowing passengers to use their mobile phones and PDA’s whilst in flight. As a result of the agreement, Grameenphone subscribers with international roaming facility can avail roaming facility on board the aircraft. AeroMobile is currently available onboard a number of Emirates aircrafts (B777s, A330s and A340s) as part of the roll out programme which will see their existing fleet fitted with the service by the end of 2009. Among partner airlines only V Australia has all its aircrafts equipped for AeroMobile. Furthermore, Aero Mobile will soon launch its services with Malaysian Airlines, Qantas, Turkish Airlines and Saudi Arabian Airlines. While the flight frequency for Emirates from Bangladesh is on a daily basis, however, AeroMobile cannot provide specific routes for the Emirates aircraft (fitted with the AeroMobile system) as the aircraft rotational schedules change on a weekly basis. Passengers onboard the aircraft will be made aware that GSM network is available through announcements by the crew. Subscribers onboard the aircraft can use in-flight roaming after the aircraft leaves Bangladesh air space. No additional subscription is needed. Subscriber can enjoy the service by switching the mobile phone on in-flight to access GSM services. In-flight roaming facility will cater to the communication need of Grameenphone’s roaming subscribers. Grameenphone international roaming service is now available in sea and enables ship passengers and crew members to do business and stay close with their friends and family members. Grameenphone postpaid international roaming subscribers can enjoy onboard connectivity (voice and SMS service) through launch of Maritime Roaming with MCP Norway. Maritime Communications Partner (MCP) is the global maritime telecommunications operator, fully owned by Telenor, reaching thousands of ship passengers and crew members in the European, North America, South America and Asian markets. Subscriber’s phone need to be international roaming enabled to use Maritime Roaming. In maritime roaming subscribers can make call receive it from anywhere from the world just the subscriber have to have a GSM dual band (900/1800 MHz) or GSM single band (1800 MHz) mobile. Roamer can avail Voice SMS service. The quality of voice calls through MCP is similar to any other GSM network. No additional subscription is required to avail this service. But the roaming subscriber will be charged by the home operator in the same way as when the subscriber is visiting a foreign country. Grameen phone is one of the most renowned telecom organizations in the country. It’s true that with in such a short period of time it is not possible to find out all problems what the authority expects. In spite of shortcomings I tried my level best to make the report Fruitful. I apologize for making errors in the report.